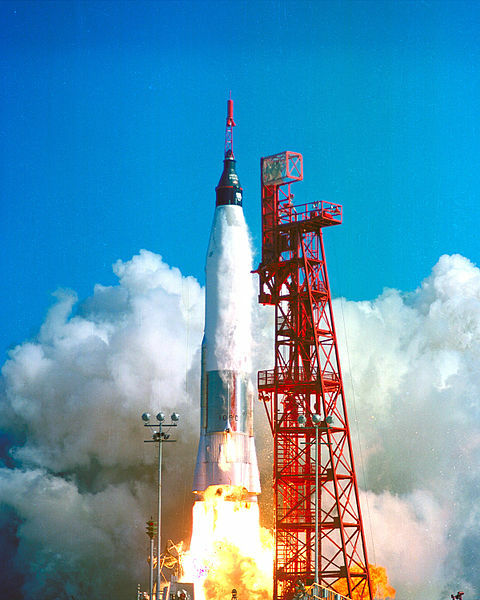 On Feb. 20, 1962, NASA launched one of the most important flights in U.S. history. This mission would pave the way for the nation’s future space exploration efforts. 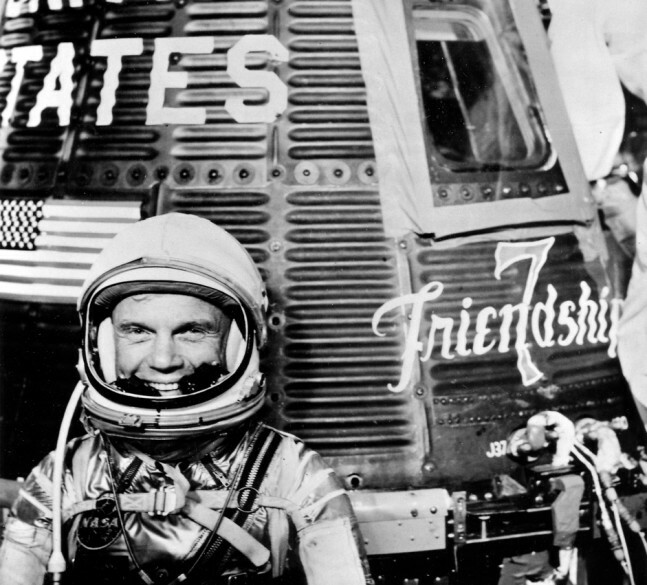 The pilot of this historic flight, John Glenn, became a national hero and a symbol of American ambition as he was the first U.S. astronaut to orbit the Earth. While the Soviet Union’s Yuri Gagarin beat Glenn to orbit, the U.S. astronaut’s journey into the black signaled the beginning of the end of the Space Race, one which culminated with men walking on the surface of another world. Glenn had already earned a reputation as one of the best military test pilots in the country before his first flight into space. In July of 1957, he set a transcontinental speed record by flying from Los Angeles to New York in only 3-hours and 23-minutes — completing the first supersonic cross-country flight. In 1958, Glenn competed against 508 candidates to clinch one of seven spots as the nation’s first group of astronauts. Each candidate had to participate in a series of specially-designed tests that would help NASA select the first group of astronauts for the newly formed Manned Space Program. The candidates had to meet specific requirements along with the testing. The requirements included being a graduate of test pilot school in excellent physical shape, less than 40 years old, shorter than 5-feet 11-inches, qualified jet pilots, having logged at least 1,500 hours flying time, and a bachelors’ degrees in engineering. Glenn met all seven requirements. 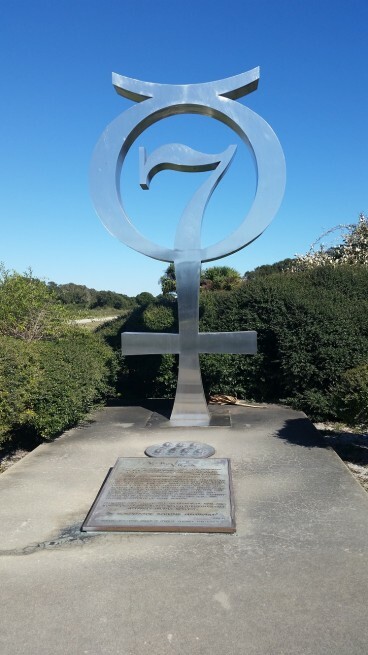 In April of 1959, Glenn was selected as a member of the first group of astronauts, dubbed the “Mercury Seven.” The other newly-minted astronauts were Scott Carpenter, Gordon Cooper, Gus Grissom, Wally Schirra, Alan Shepard and Deke Slayton. Following selection, the group had to undergo extensive training to prepare them for spaceflight. NASA Glenn’s Multiple Axis Space Test Inertia Facility, or Gimbal Rig, was one of the many facilities where the seven astronauts trained for their missions. After three years of training, Glenn rocketed into space aboard the Mercury capsule named Friendship 7 by its pilot. He became the third American in space and the first to orbit Earth. The historical flight was no easy feat, and not without problems. At the end of his first orbit, a yaw attitude jet clogged, forcing Glenn to abandon the automatic control system and use the manual electrical fly-by-wire system. Another, more serious problem arose – telemetry indicated the spacecraft’s heat shield was loose. It seemed possible that Glenn and the spacecraft might not survive the searing heat of re-entry. Glenn’s planned seven-orbit flight was reduced to only three orbits. Ground crews determined that leaving the retrorocket pack in place to steady the heat shield during re-entry was Glenn’s best chance. In 4-hours and 56-minutes, John Glenn circled the Earth three times, reaching speeds of 17,500 miles per hour. The successful mission concluded with a splashdown and recovery in the Atlantic Ocean, 800 miles southeast of Bermuda. His flight made Glenn instantly an instant hero. President John F. Kennedy awarded him the Space Congressional Medal of Honor. Schools and streets across the country were named after him. And a ticker tape parade in New York City celebrated his mission. After their flights, astronauts were given special assignments to ensure pilot input went into the design and development of future NASA spacecraft, Glenn specialized in cockpit layout and control functioning, including some of the early designs for the Apollo Project. After Kennedy was assassinated, Glenn decided to honor his late friend’s wish and went into public service. He served the state of Ohio for many years, but always kept one eye on the stars. In 1998, Glenn’s dream of returning to space came true. 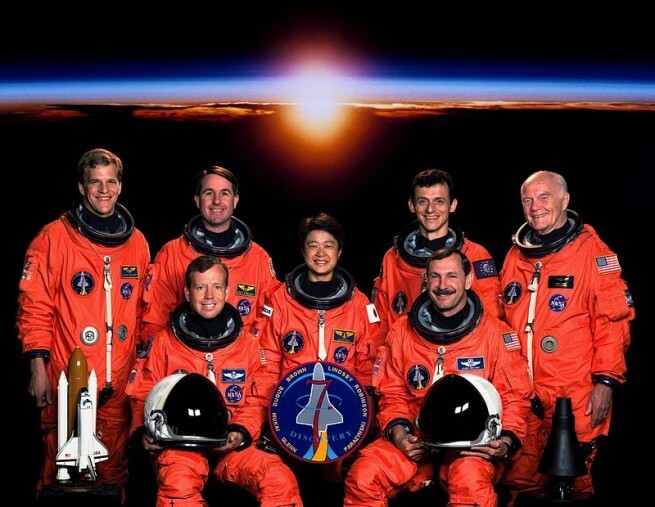 Launching aboard the Space Shuttle Discovery on Oct. 29, 1998, Glenn was part of the mission STS-95. His role in this mission was very similar to that a lab rat – he served as a test subject trying to help NASA further their research on the effects of space travel on the human body and aging. The STS-95 crew also deployed the Spartan solar-observing spacecraft, the Hubble Space Telescope Orbital Systems Test Platform. This time around Glenn completed 134 Earth orbits in 213-hours and 44-minutes. I love the video – thank you for posting! I seem to recall that Glenn’s flight was for 3 orbits. Once in orbit, he was “a go” for 7 orbits but only as a “safety” precaution. Am I correct? Yes Tom, that is correct.